You can support us with your sponsorship at any level. Write to connect@wastewise.be to know more. Sponsorship helps keep our content free. 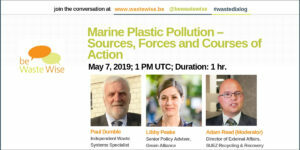 Start your learning by listening to this discussion about the Status of Oceans & Plastic Pollution panelists from Plastic Pollution Coalition, Save Our Shores, 5Gyres & Plastics for Change give you information about what the exact problem is and what could be the ideal solution. Get a quick introduction to the garbage patches in oceans from the panel discussion on Managing Plastic Waste & Mitigating the Garbage Patches. 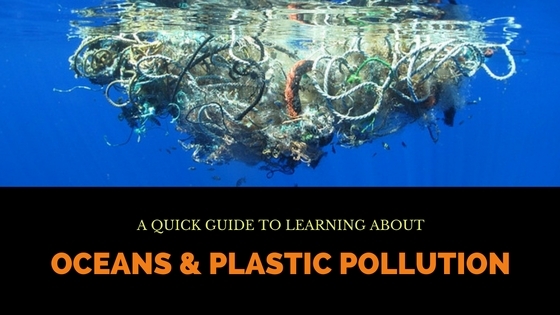 Pollutants from plastic waste in our waters enters human body through the food and water we ingest. Watch this panel on Health Impacts of Plastic Pollution where panelists lay out the different ways in which plastics enter our bodies, their sources and impacts on health of humans and ecosystems. In an interesting aside, watch this panel where Marcus Eriksen of 5Gyres speaks about building a raft from junk and taking it on the ocean. Costas Velis, the Chair of ISWA’s Task Force on Marine Litter, delves into details of ISWA’s task force on preventing marine litter. For quick read, you could also check out the following interviews. If you found our guide useful, please share the same on social media. Or submit your suggestions and feedback on our Contact page. Are Light Emitting Diodes (LED) e-waste?